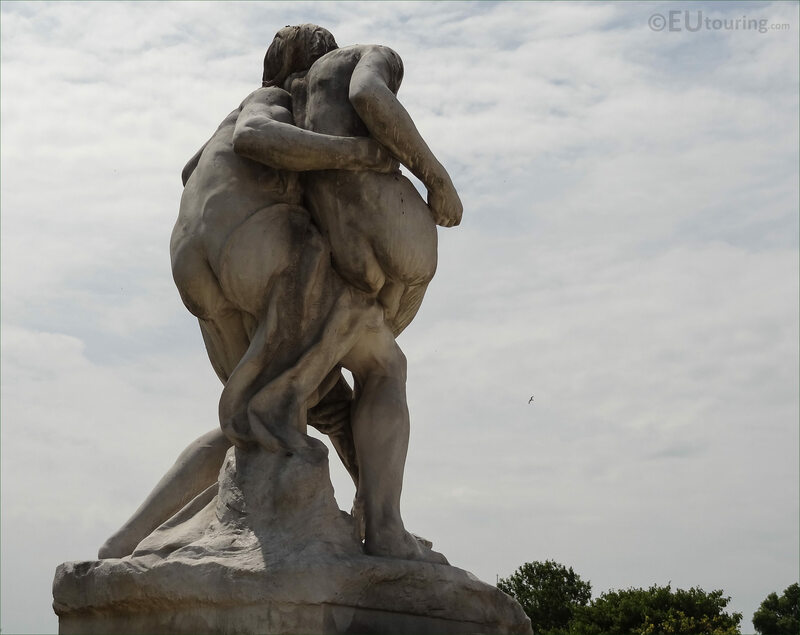 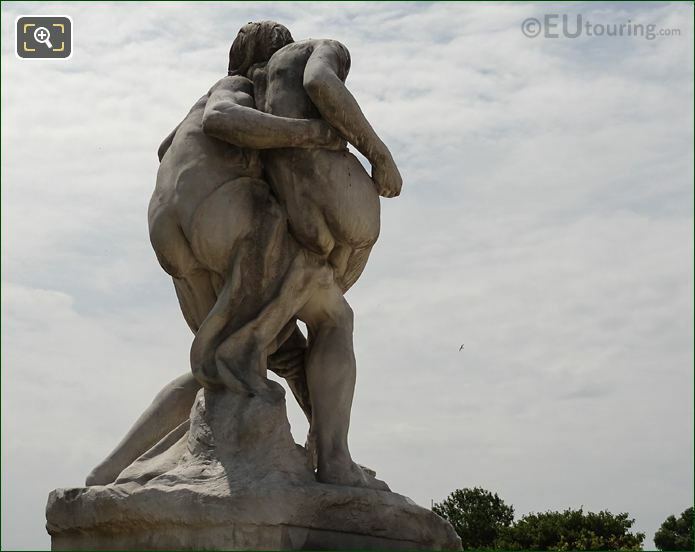 We were in the 1st Arrondissement of Paris at the Jardin des Tuileries, when we took these high definition photos showing a statue of Le Bon Samaritain, which was sculpted by Francois Sicard. This first HD photo shows a statue called Le Bon Samaritain, which translates in English to The Good Samaritan, and was based upon a story in the bible, known as a parable that was one told by Jesus in the Gospels to illustrate a moral and spiritual lesson. 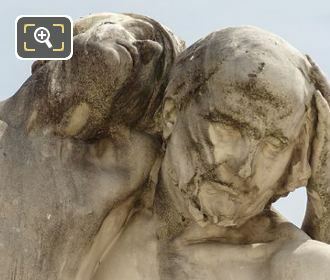 So here you can see a close up photograph showing a man leaning with his head tilted back on another gentleman that was carrying him, and the story of The Good Samaritan is found within the New Testament under Luke, and tells how a man, who was a Jew, was robbed and beaten and left lying on the ground to die. 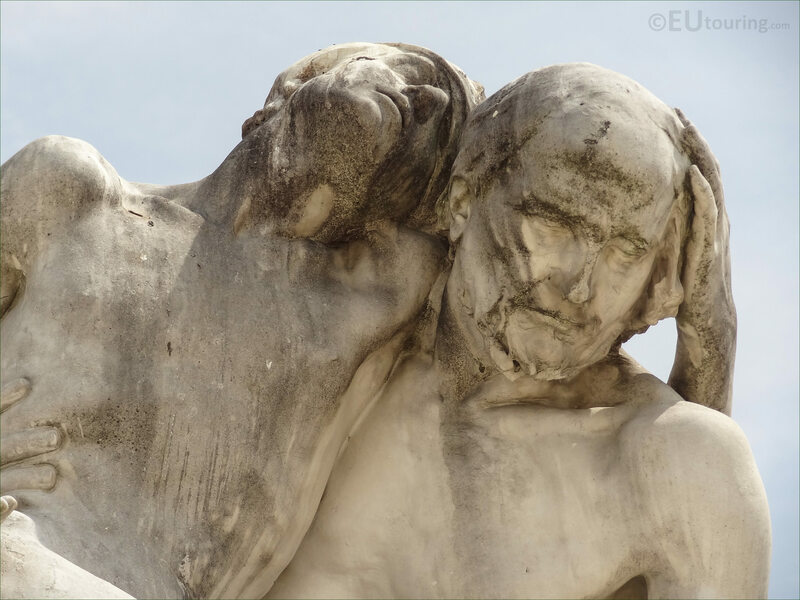 This story, or parable, was an answer by Jesus in response to a question he was asked, which was "Who is my neighbour?" 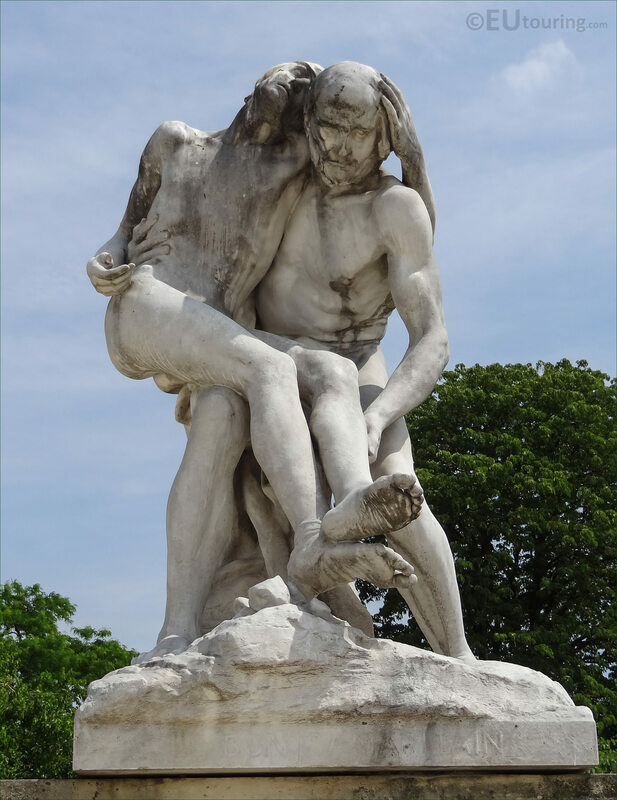 and Jesus told that this traveller initially had a priest who carried on walking by the injured man, and then a Levite, Jewish male also went by and carried on avoiding the traveller. 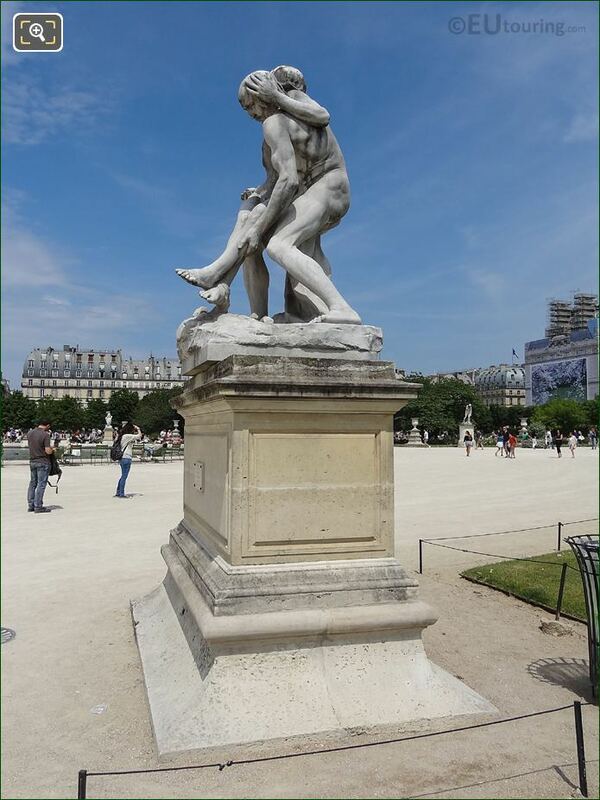 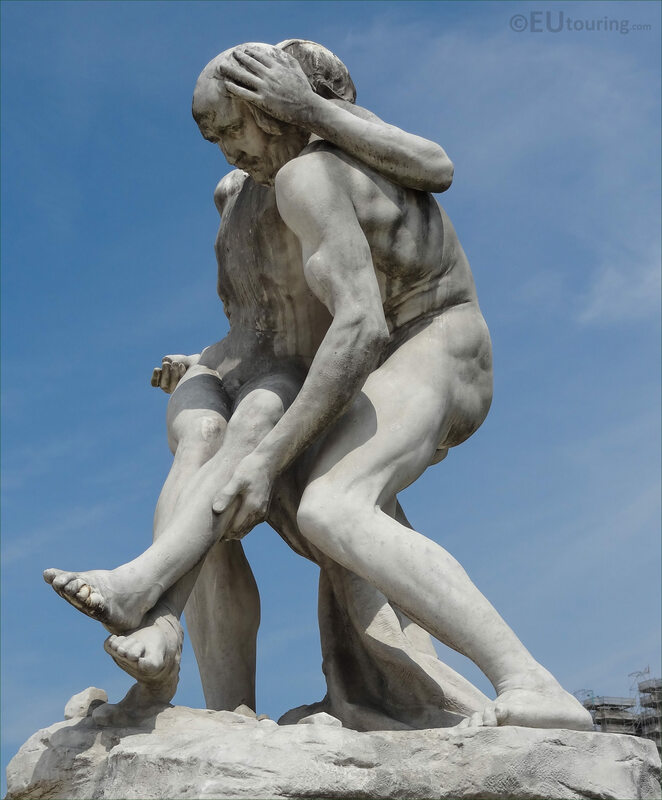 Then a Samaritan came across the severely injured traveller, and even though they were meant to be enemies, he took pity on him and showing mercy he stopped and helped the beaten injured man, which is why you can see this statue showing the Good Samaritan carrying the traveller. 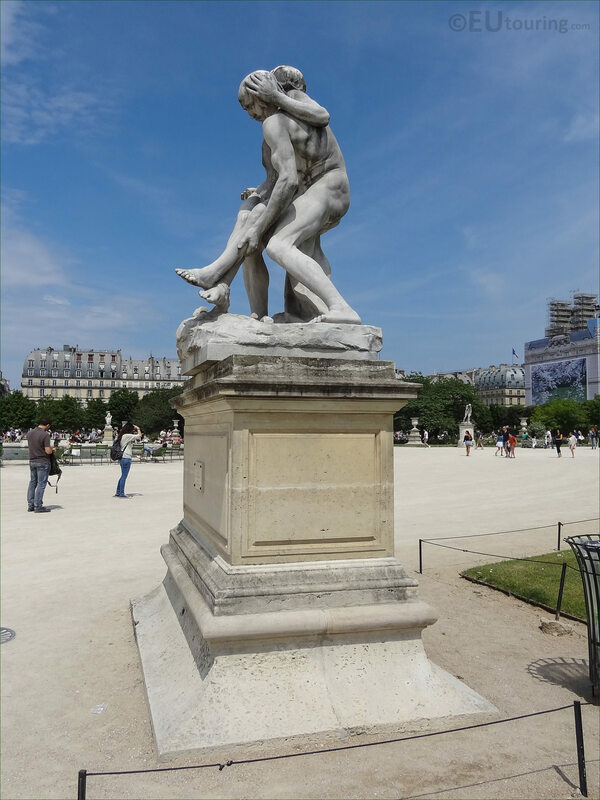 Virtually everyone has no doubt heard the term Good Samaritan, and this is where the term comes from, as an act of kindness towards another, even if it is a stranger, and this parable told by Jesus in the Bible has been depicted in art throughout the centuries, with this particular statue being produced in 1896. 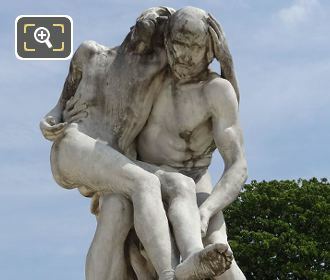 Now this particular photograph above shows Le Bon Samaritain statue positioned within the Grand Carre area of the Jardin des Tuileries, and is one of the twelve statues that surround the large round basin, called the Grand Bassin Rond, with this particular one being put in place in 1905. 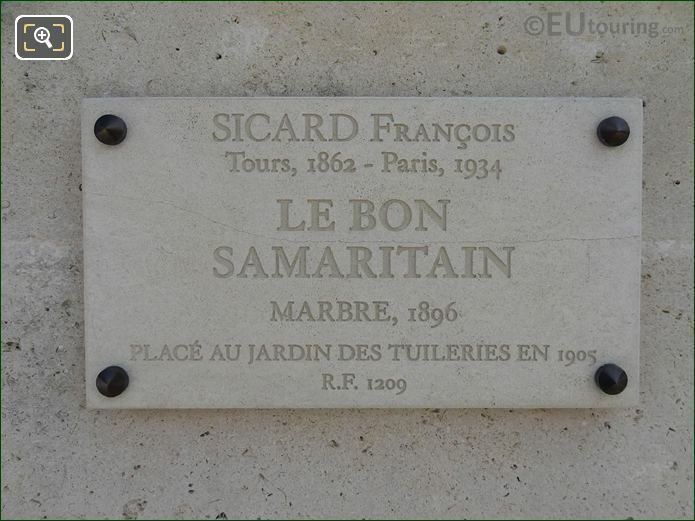 Le Bon Samaritain was sculpted in marble by Francois Leon Sicard, who was born in Tours in 1862, yet studied in Paris under Louis Ernest Barrias, and then gaining the Prix de Rome, he was able to further his studies at the Villa Medici French Academy in Rome, Italy, and upon his return, received several commissions. 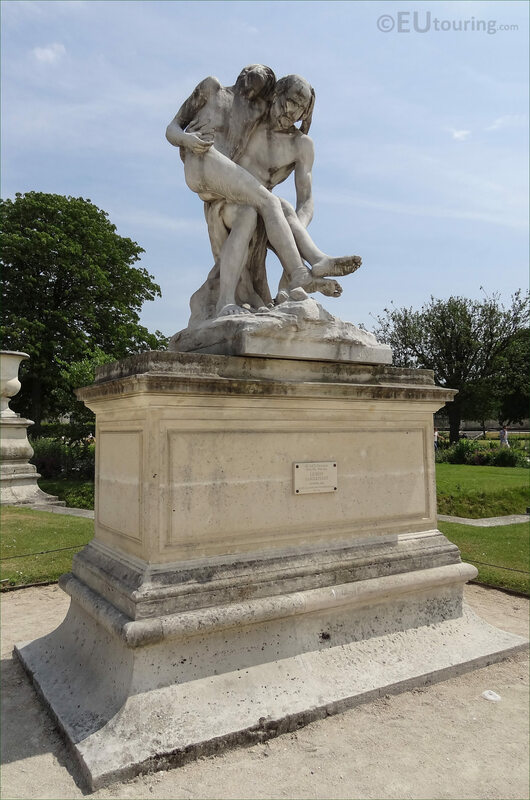 Unfortunately, very little is known about Francois Sicard, although his works can be found in many places throughout Europe including Geneva, Switzerland and even in places such as Australia, plus he worked for tourist attractions in Paris such as the Louvre Museum, Sacre Coeur Basilica, The Pantheon, a statue for the Jardin du Luxembourg and this one within the Tuileries Gardens. 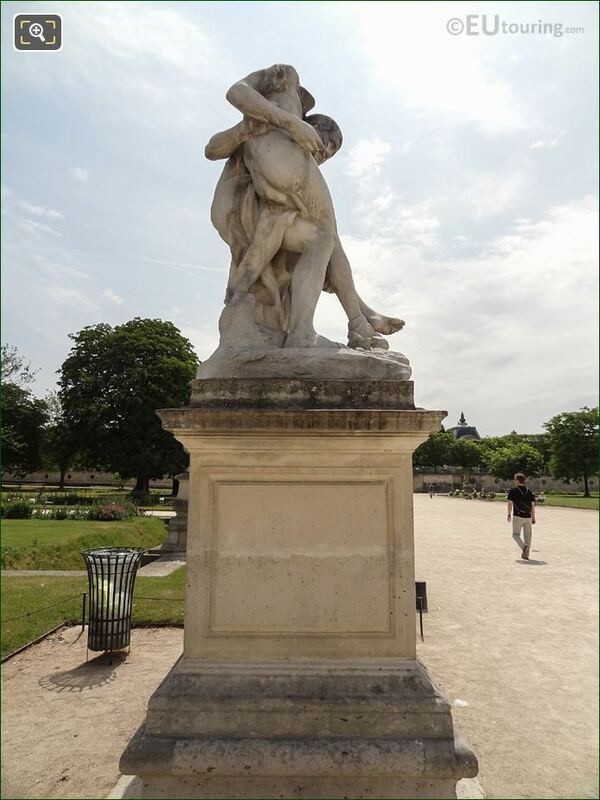 This image above shows the back of Le Bon Samaritain statue by Francois Sicard, which, although produced in 1896, one year after his return from furthering his studies in Rome, did not end up being placed within the Tuileries Gardens until almost ten years later, positioned in the Grand Carre area. 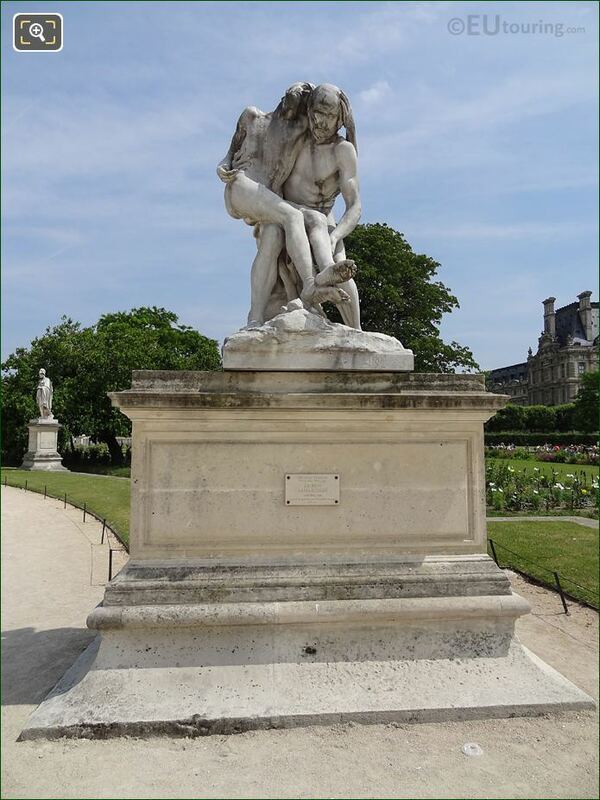 However, here you can see a close up showing the tourist information plaque located on the pedestal base of the statue at the front, and as we mentioned earlier, this was placed within the Tuileries Gardens in 1905, and it has an inventory number of R.F. 1209. 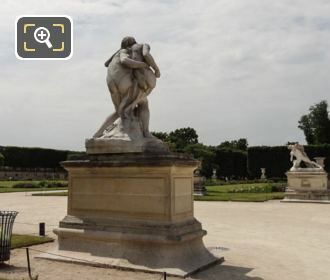 Now here you can see that The Good Samaritan statue is positioned by a parterre within the Grand Carre area called the Demi-lune Reserve sud, which is part of the formal French garden style of the Jardin des Tuileries that was originally laid out by the landscape architect, Andre Le Notre, back in 1664. 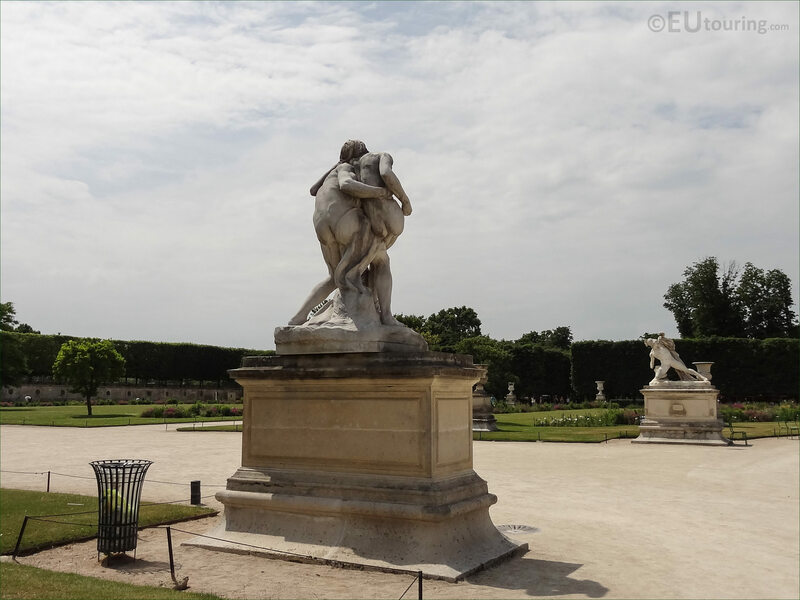 Although this image shows a little more of the area where Le Bon Samaritain statue is located on top of a large pedestal base next to the gravel pathway opposite another statue that was also sculpted in the 1800s, and if you look carefully above the trees, you can just see the top of the famous Eiffel Tower in the distance.